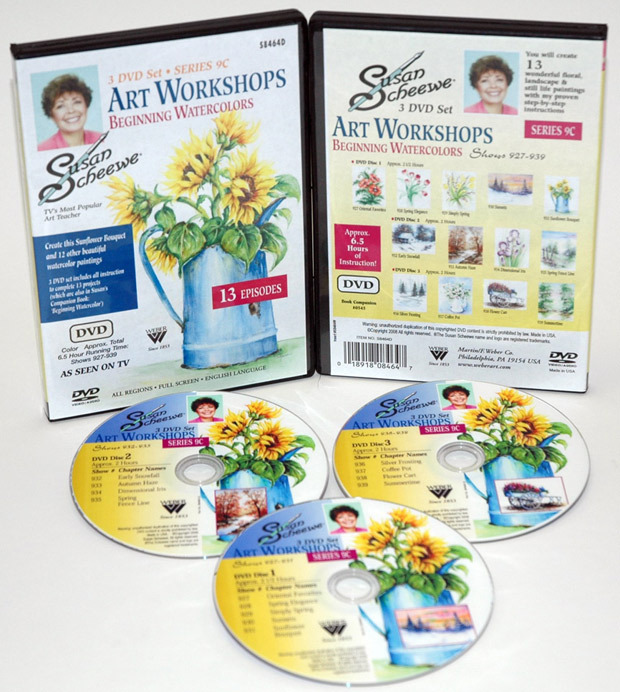 * Susan Scheewe Art Workshops Series 9C, 3 DVD Set has 13 episodes (approximately 6.5 hours) of art instructions and fun projects using watercolors. * Create 13 wonderful floral, landscape and still life watercolor paintings with Susan's proven step-by-step instructions. * Create the beautiful Sunflower Bouquet on the front cover, as well as 12 other gorgeous watercolor paintings.